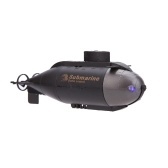 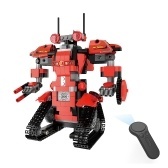 Impress your friends with this awesome model! 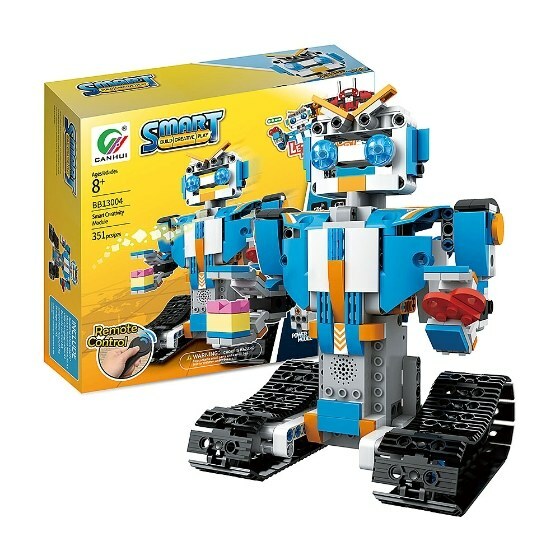 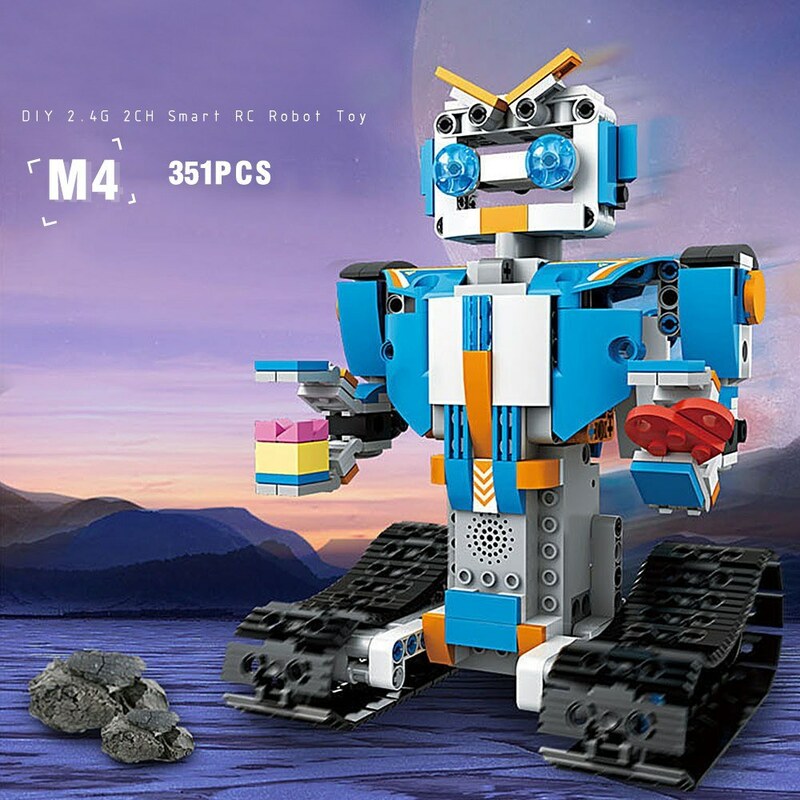 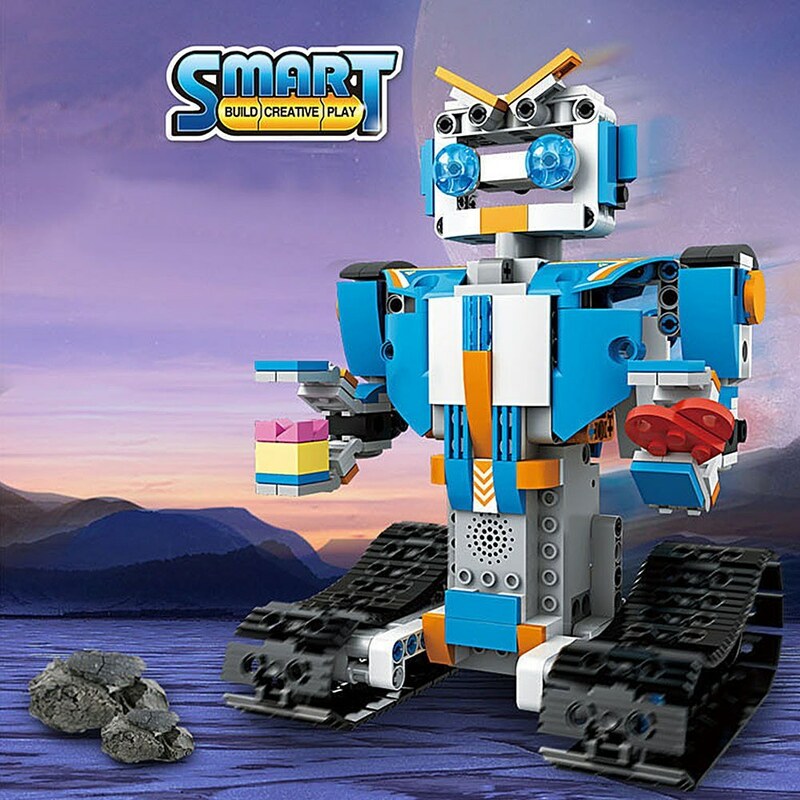 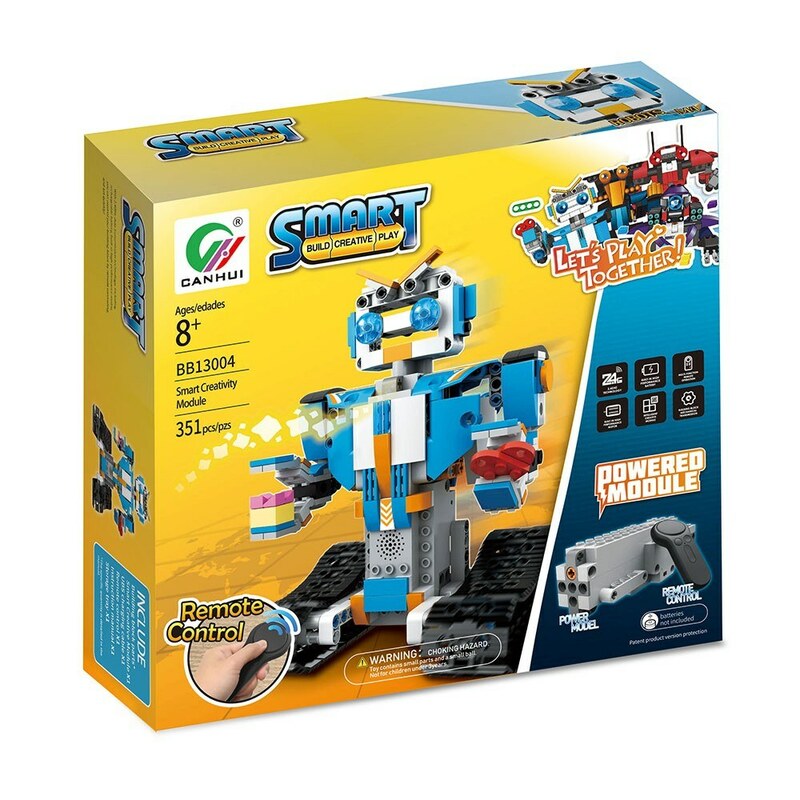 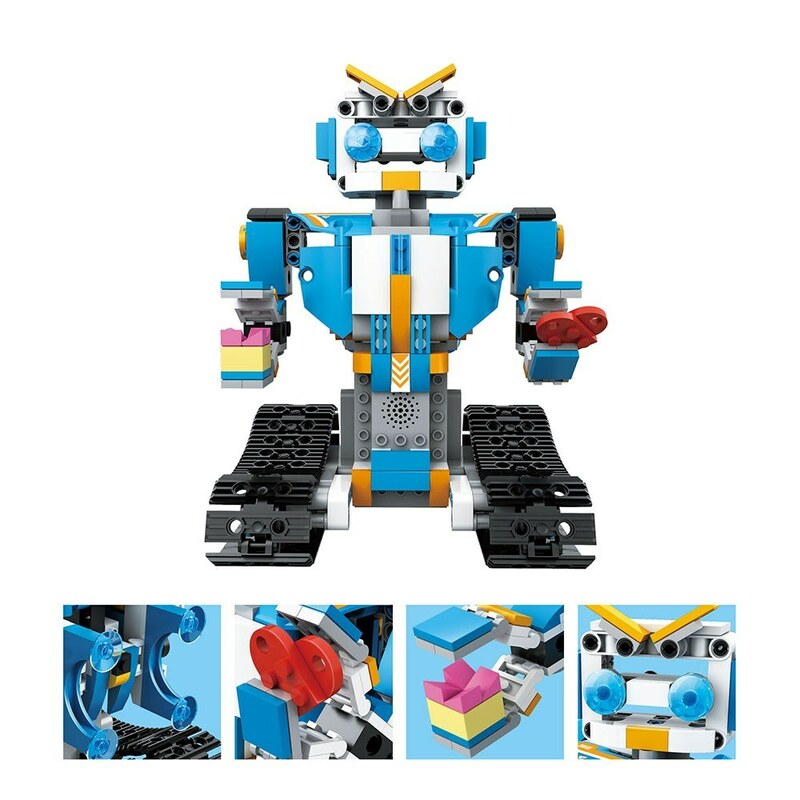 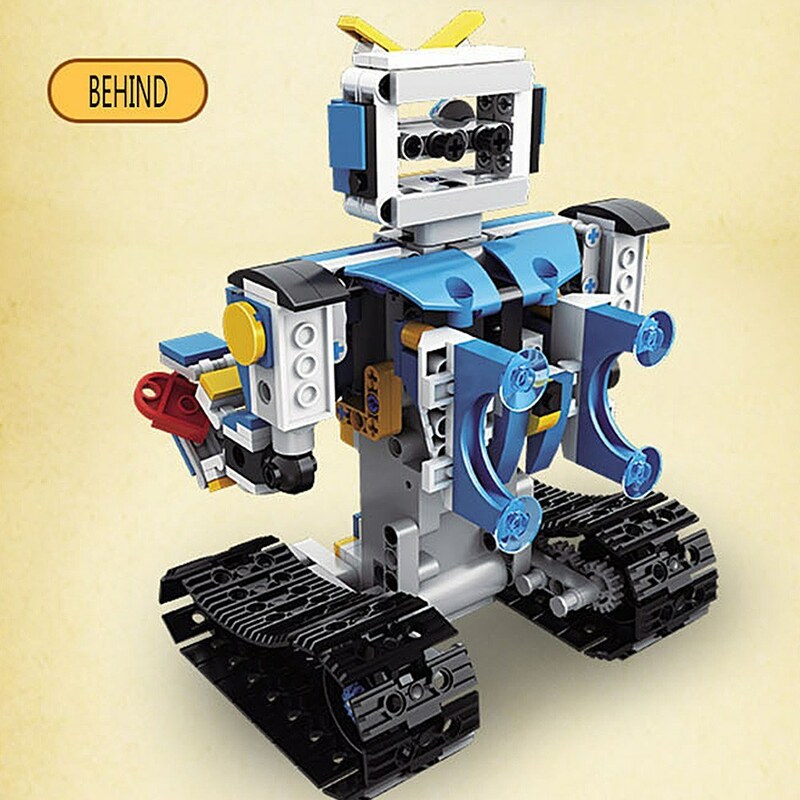 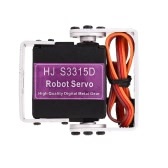 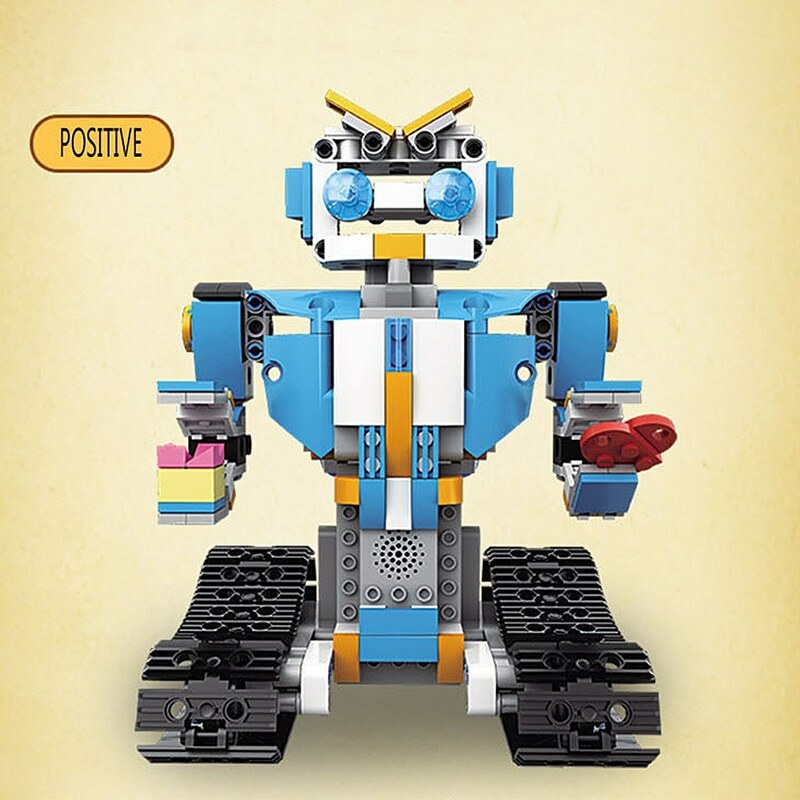 This characterful Robot M4 features a multi-color scheme, bright-blue eyes, working tracks. 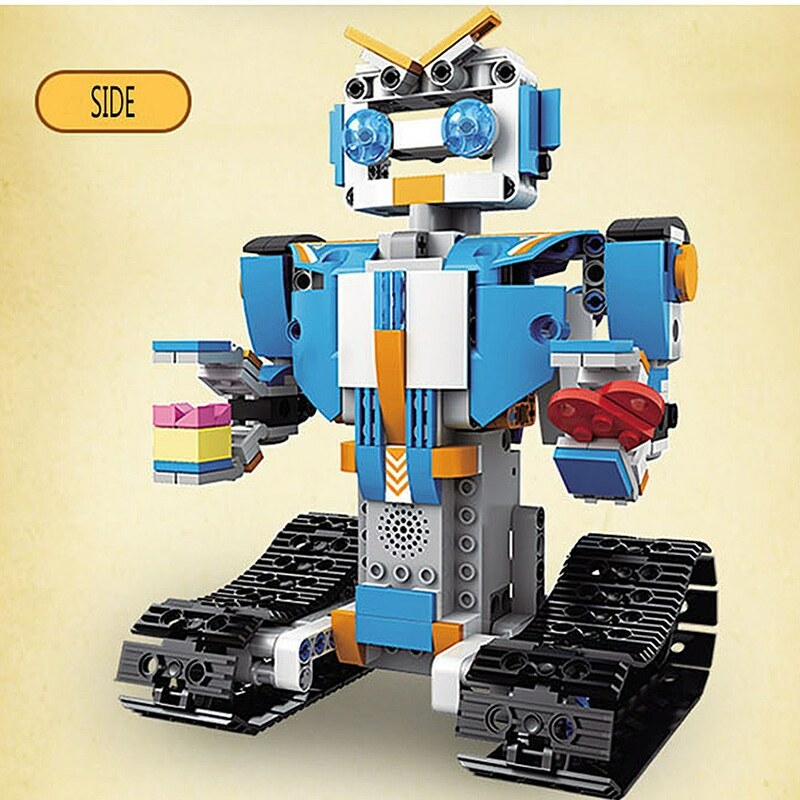 This set includes 351 pieces and offers an age-appropriate build and play experience for ages 8 and up. 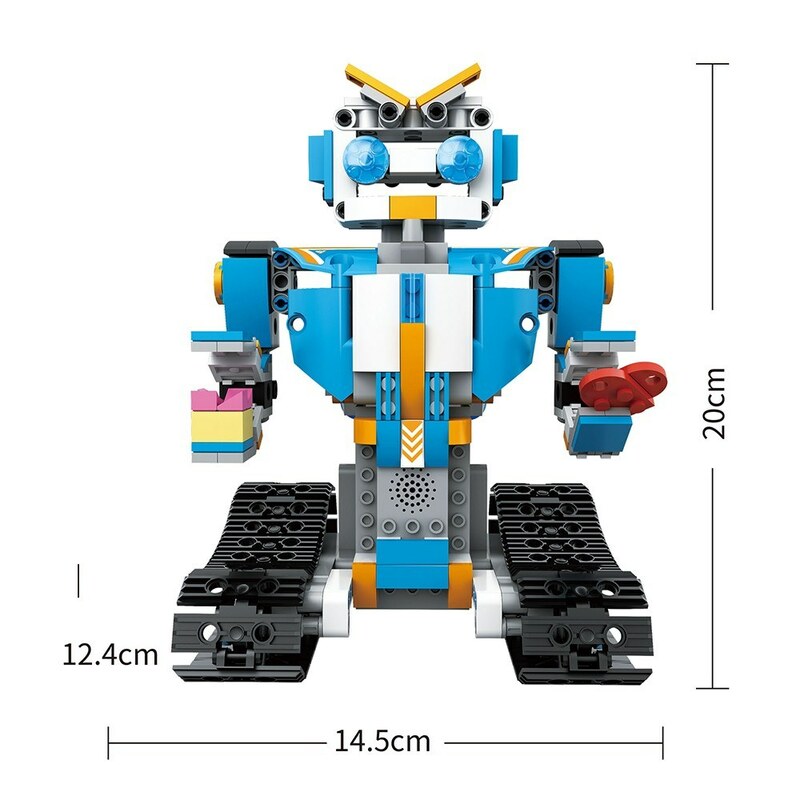 Can be assembled at anytime yourself, helps to develop children' practical ability. 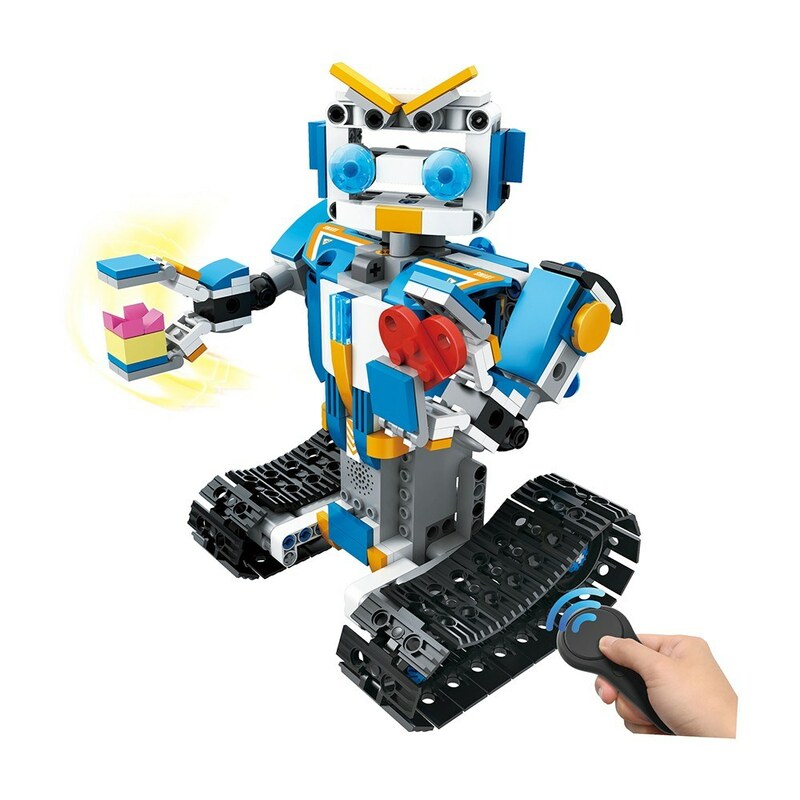 Helps to develop children' logic thinking ability. 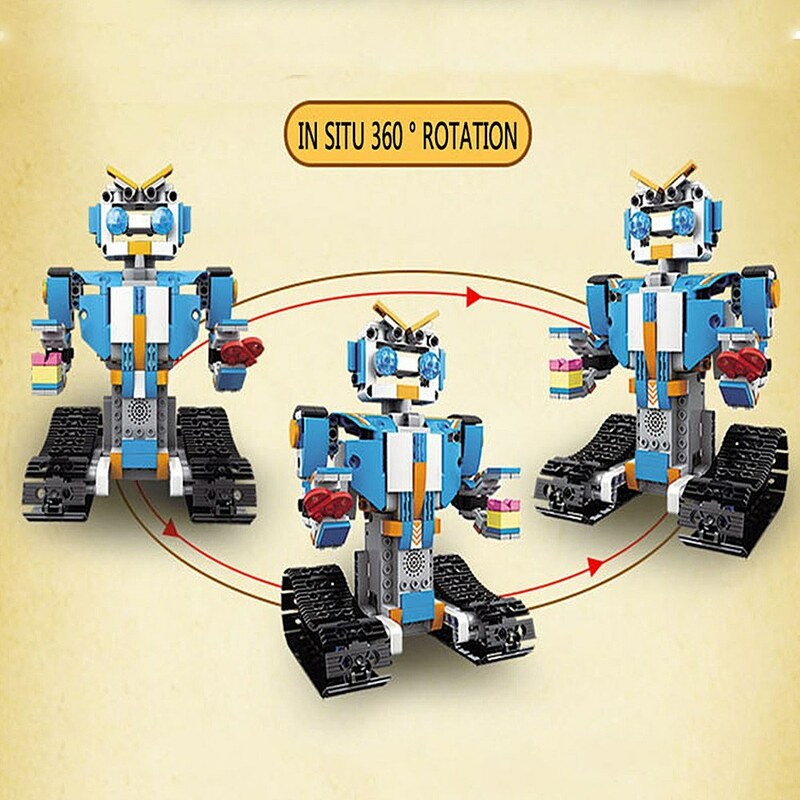 Function: Move forward/backward, turn left/right, supports to rotate in situ (360°) smoothly.